PULASKI, Va - The Pulaski Yankees took part in their first doubleheader of the 2018 season, and the Princeton Rays won both games at Calfee Park by scores of 7-5 and 9-4 on Wednesday night. In the opener, the Pulaski Yankees erased a 4-1 deficit and grabbed a 5-4 lead, only to have the Rays come-from-behind to score three runs in the seventh inning. Luis Medina was chased from the game after 1.2 innings on the mound for Pulaski and allowed four runs, two earned on two hits, three walks, two strikeouts, a home run and two hit batters. Roberto Alvarez opened the scoring and reached on a throwing error by first basemen Carlos Tatis after he miscued a throw to Medina covering the first base bag on a grounder. Jake Palomaki and Connor Hollis scored on the play to make it 2-0. The Rays added a third run in the inning of RBI groundout by Grant Witherspoon. 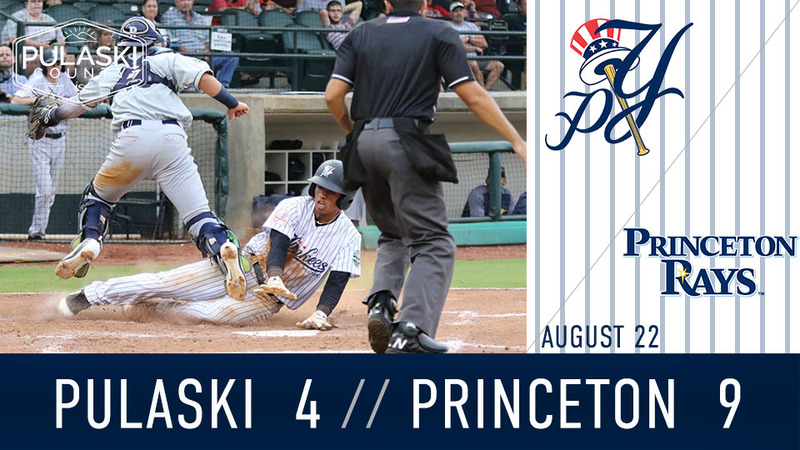 Oswald Peraza homered in the bottom half of the first to put the Yankees on the board, and Princeton's Connor Hollis answered with a solo big fly of his own in the second frame. In the second inning, Evan Alexander tied the game with a three-run homer, and Nelson Gomez gave Pulaski their first lead with a RBI single to score Peraza in the fifth. Brett Morales entered in the seventh inning looking to complete the save, but Appalachian League leader in batting average and hitting, Wander Franco launched a game-winning, three-run homer to lift the Rays to a game one win, 7-5. In game two, the Rays once again posted a crooked number in the first inning. With the bases loaded, Witherspoon cleared the base paths with a three-run double to open the scoring. Pulaski answered with two in the bottom half of the first inning off a RBI groundout by Gomez and a RBI single by Max Burt. Hollis homered to give the Rays a 4-2 advantage in the third, but Alexander homered for the second time in the doubleheader to pull his club to within one. Carlos Tatis received credit for a sacrifice fly later in the inning to even the score at 4-4. But Princeton would rattle off five unanswered runs to run away with a 9-4 final. Tony Pena and Witherspoon received RBI hits in the fourth inning followed by Jonathan Aranda RBI triple in the sixth, followed by a run scoring wild pitch. Jake Palomaki rounded out the scoring with a RBI double in the seventh inning. The Pulaski Yankees return to Calfee Park tomorrow, August 23 for the series finale against the Princeton Rays. It's College Night at the ballpark, where all college students can receive a discounted ticket with a valid college identification. 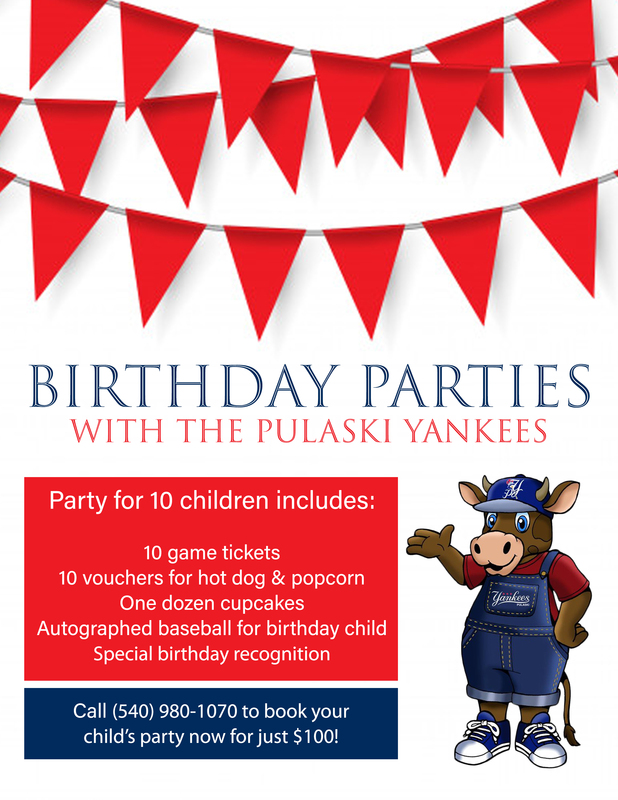 Ticket information is available online at pulaskiyankees.net.